There are times where an addition/remodel of an existing home will not meet a clients needs. With the remodel of an existing home, the design and engineering of the addition is limited and constrained by the existing footprint of the home which may not meet the clients desires and goals. In addition, if the remodel is too extensive it reaches a point where the construction cost is more expensive than building a new custom home and might exceed the client’s construction budget. At this point it is necessary to build a custom home from scratch to stay within budget and meet our clients needs/goals for their project. PLANNING PHASE: The most important step is to determine the maximum total budget for the project. A total of 16.66% of your maximum budget will be allocated as a contingency (20%) for items that exceed the budget or for any unknowns. The remaining 83.33% of your budget will be used for the construction costs, permit fees, and design professional fees. PRELIMINARY DESIGN: Orohaus Design will do a rough preliminary design based on our client’s budget. At this stage we would find out all the requirements from the Planning Department and Building Department. We would investigate all fee’s required by your local city/county office to get a rough estimate of the permit fees required for the project. This design would be a rough schematic showing the footprint of the home, floor plan, and elevations which will be used to get our clients input, obtain a rough construction estimate from the clients Contractor if he is on board at this stage, and for information purposes to other design professionals. Steps 4 to 9 are the same as shown on the “Design Process” page. 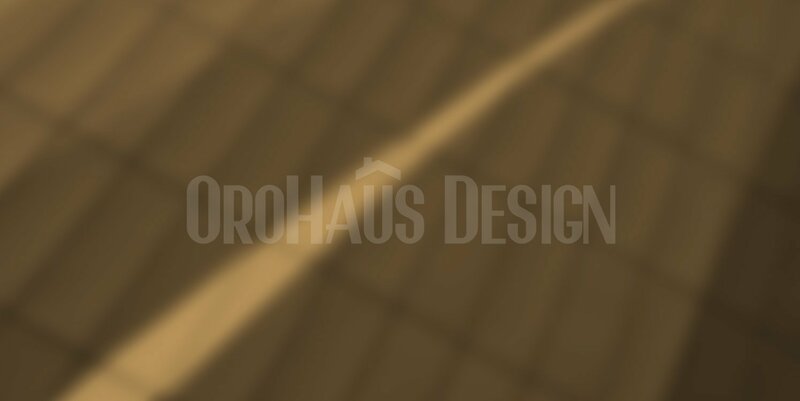 Please contact Orohaus Design for an initial design consultation to help you on your custom home project.